You know where this is going, but before we get there let’s talk about The Afternoon Delights. 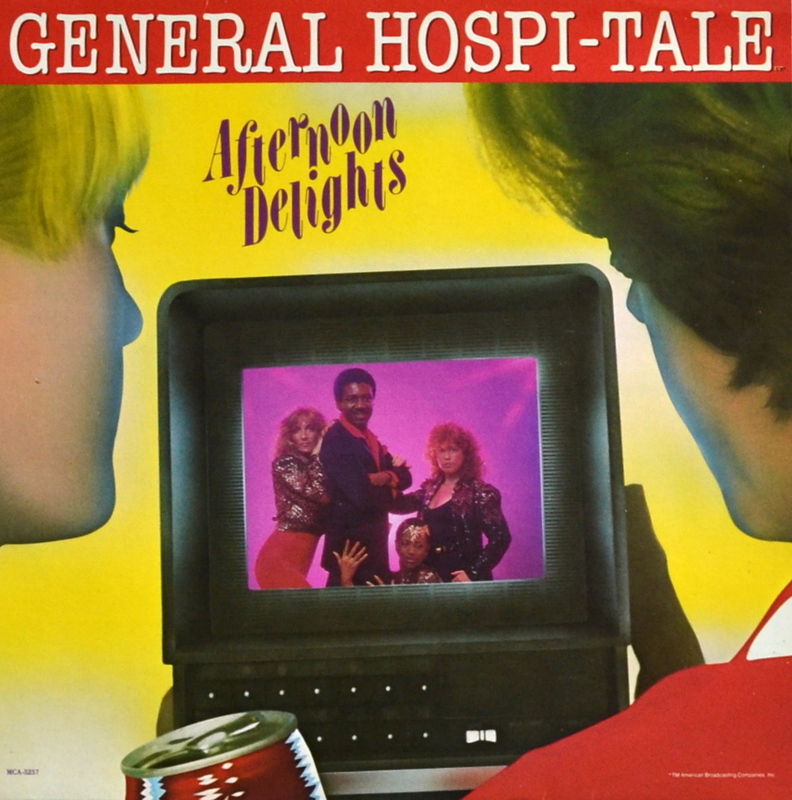 General Hospital was huge in a way that wouldn’t make any sense to a reader in his or her twenties, and not just GH but the entire soap opera genre. When I was preschool age my mother was a Days of Our Lives devotee, and as teenagers my sisters were dedicated to ABC’s lineup: All My Children, One Life to Live, and General Hospital. You might have a hard time believing that hunk of junk broke the top 40, but I’m sure it’s no surprise that sleeve is going into the Bad Album Cover Hall of Fame. Gaaa!!!!! Never watched any of them, but still could not get away from Luke and Laura – they were on the cover of People Magazine. AS LUKE AND LAURA!! I remember hearing a snippet of the storyline – he raped her, then down the line they fall in love and get married. Because that happens All.The.Time. This mashup is a stroke of hellish genius. Wow. I wonder if that storyline could even make it to television today. I hope not. Very funny 😉 General Hospital was the one soap I ever became involved with. It was a “thing” when I was in college. I gave it up once I started having kids, but for years my sister would update me on occasion and things didn’t get unrecognizable for a really long time.